9780803212268 | Univ of Nebraska Pr, May 1, 1993, cover price $45.00 | About this edition: Deerskins and Duffels documents the trading relationship between the Creek Indians in what is now the southeastern United States and the Anglo-American peoples who settled there. 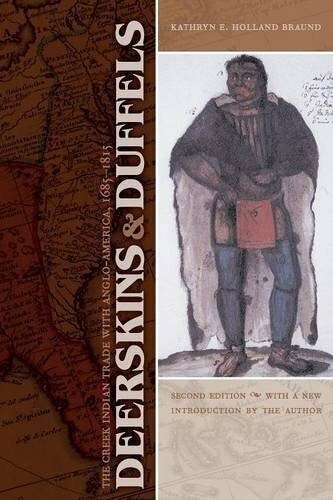 9780803218567, titled "Deerskins and Duffels: The Creek Indian Trade With Anglo-America, 1685-1815" | 2 edition (Univ of Nebraska Pr, November 1, 2008), cover price $21.95 | About this edition: Deerskins and Duffels documents the trading relationship in the eighteenth century between the Creek Indians and the Anglo-American peoples who settled in what is now the southeastern United States. 9780803261266 | Univ of Nebraska Pr, March 28, 1996, cover price $29.95 | About this edition: Deerskins and Duffels documents the trading relationship between the Creek Indians in what is now the southeastern United States and the Anglo-American peoples who settled there. 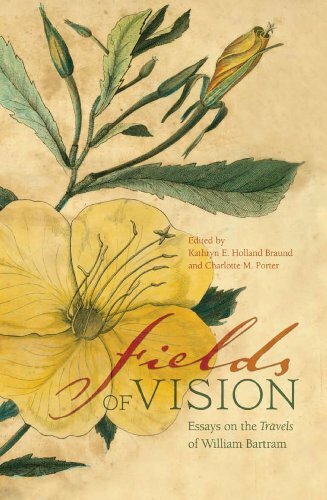 9780817316822 | Univ of Alabama Pr, February 28, 2010, cover price $49.95 | About this edition: A classic work of history, ethnography, and botany, and an examination of the life and environs of the 18th-century south.